Juvenile Cobia caught by Tommy Nichols in the flats North of Humble Channel, South of the power lines in approximately 2 feet of water. 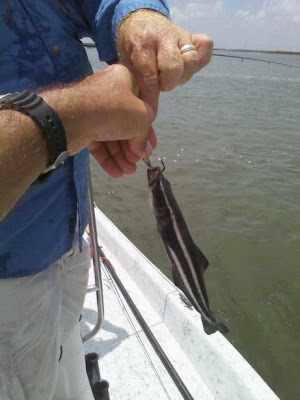 Kind of an unusual location to catch a Cobia. Tim Holms caught this nice 30 1/2 inch speckled trout at the King Ranch Shoreline Last May by the power plant using live bait. 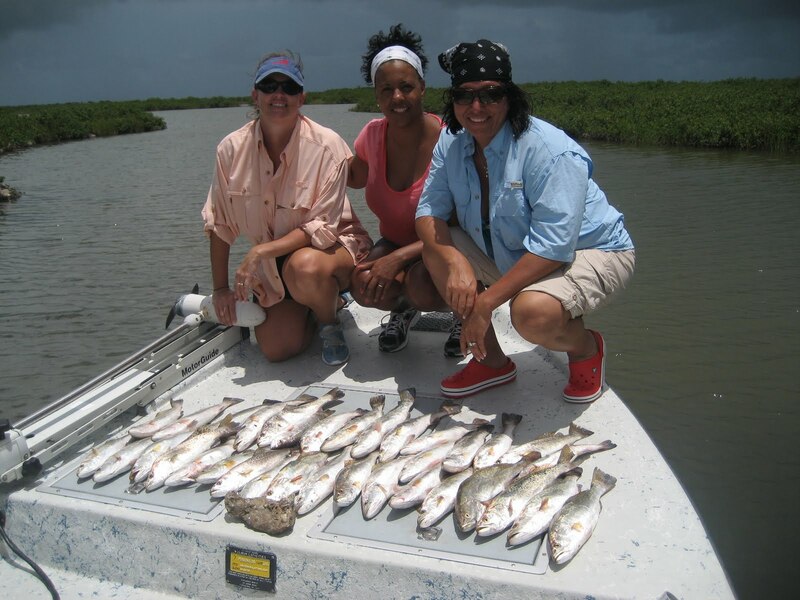 This past week the fishing has been very good even with the rain. 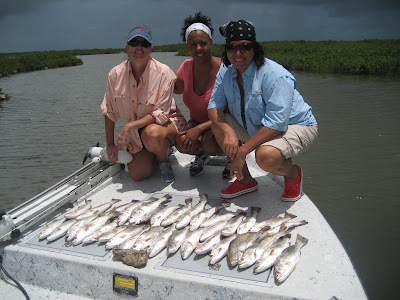 I have notice weird tendencies with the bite though, Trout for example have been picky...once I get them to start eating Croaker after a little flurry of about 6 fish in the boat they will turn off...I then throw piggies to them and they eat again. This is only in water from 10-14 foot deep and it does not hold true if you are fishing shallower. I have found Redfish in the deeper pot holes, but only a few holes are holding the fish. Since they are deeper holes and if I don't just hammer the hell out of them I can go back day after day and get a few fish. I don’t like to hammer my good holes because it keeps the fish in the pot hole and it helps keep it a secret so it's not ravaged by boat watchers (the fisherman...if you can call them that...who drive around looking for guide boats or boats with a fish on who run your fish off trying to cut in on your action). 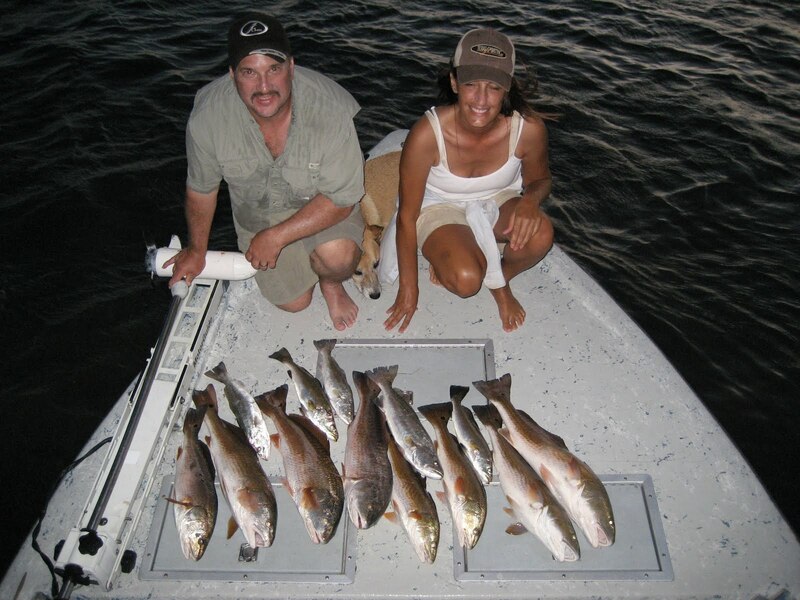 I try to have 2 or 3 deep holes to fish so I can easily pick up 5 or 6 Redfish after I’m done trout fishing, also fishing the holes later and using bait that is a little weaker helps the bite and keeping the hole a secret! Tight Lines!